Have you filed an insurance claim for Property Damage to a Commercial Property? 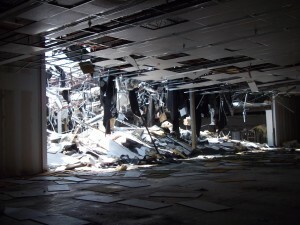 Commercial Property Damage Claims are typically very complex. There are many different facets to these claims depending on the type of business and property that is damaged. Whether it be damage caused by Fire, Smoke, Hurricane, Tornado, Plumbing Leaks, Roof Leaks, Sinkholes, Storm, Lightning Strikes, Broken Pipe, Mold Damage, Theft, Vandalism or any other cause of loss we are here to help you! Unlike the insurance company adjusters that are hired to represent their interests through the claim, as Florid Licensed Public Insurance Adjusters we only represent the policyholders interests. As your personal adjuster our #1 goal is settle your insurance claim for the largest possible settlement available in your policy. Request a complimentary consultation with a commercial property damage claim expert! We are here to assist all types of businesses including: Condominium Associations, Building Owners, Real Estate Investors, Landlords, Temples, Churches, Shopping Malls, Strip Malls, Restaurants, Hotel, Motels, Gyms and any other type of property that may have been damaged. We can assist with not only the property damage portion of your claim but also with any other losses to your business suffered due to the loss including Business Interruption and Fair Rental Value of your damaged property. It is always best to hire us as soon as possible. Did you know that there are many things required by you after you suffer a loss and there is a real possibility that if you do not comply with these requirements you may not be able to recover the benefits available to you under your insurance policy. As state licensed Public Insurance Adjusters we will review your policy and work with you to achieve the largest claim settlement available under your policy and avoid the inevitable pitfalls that may occur when attempting to handle your own insurance claim. We work strictly on a contingency fee basis. Therefore, you do not pay us until you get paid from your insurance company. Our fee is only a small percentage of the actual recovered settlement. Speak with a Licensed Public Adjuster today about your Commercial Property Damage Claim!